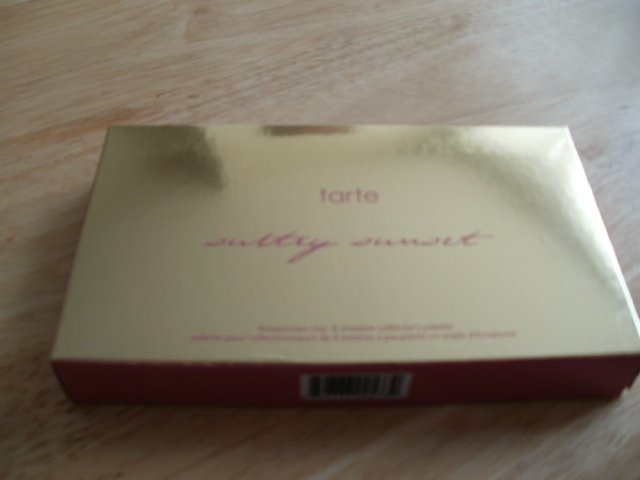 I have been eyeballing this tarte palette for a while its the Sultry Sunset one, its full of lovely neutral wearable shades, a mixture of mattes, shimmers and pearls. The brand is eco friendly, cruelty free, mineral oil free, gluten free, paraben free, sls free, which means it is good for all. It is also infused with vitamins, minerals, Amazonian clay, superfruit plant extracts, essential oils and other naturally derived ingredients.. It is a brand that has started off with the best of intentions and has continued to do so and this is really setting it apart from most others, i have to say i am extremely impressed by this, there is just too many products full of parabens these days that we regularly put into our skin! 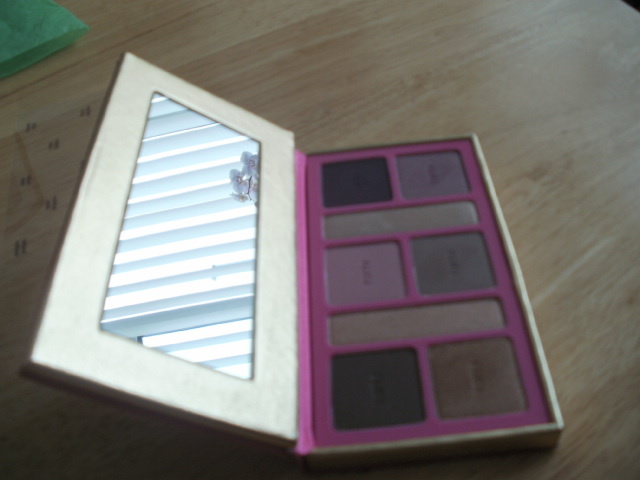 But enough about the good stuff and onto the better stuff lol , just look how gorgeous it is…!! the shades are from right to left top row .. Brazil Nut Brown, Golden skies, Exotic Guava, Gilded Sand and Twilight plum and bottom row Bronze Horizon, Taupe Dusk and wild Orchid. 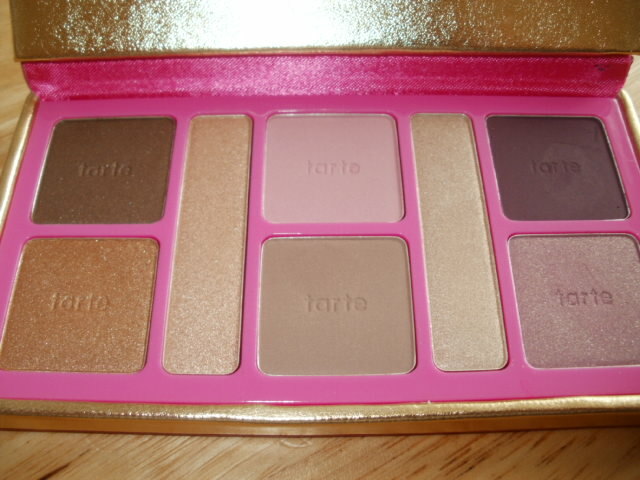 For me a palette has to be very wearable otherwise i just don’t bother with it, with this palette i get excited everytime i look at it, i will reach for it again and again, it is stunning (to me). Thats it for now, have a great week everyone! This entry was posted in Gluten free, Health and Beauty, Organic, Vegan and tagged Ali Young, Amazonian Clay, BB cream, beautiful, Essential oils, Foundation, gluten free, Guava, Infused with Vitamins, mineral oil free, naturally derived ingredients, paraben free, QVC, SLS free, Stunning, Superfruits, Tarte, Vegan, Will Gowling on September 23, 2014 by the40somethingbeautyblogger.